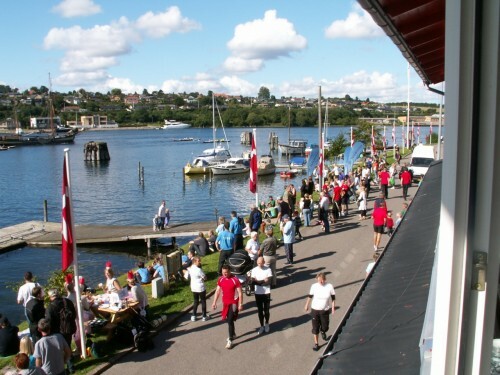 Employees from 69 companies in and around Sønderborg took part in this years Firmakaproning (literally Company Competitive Rowing). Each team is a made up of a group of four colleagues. They receive three training sessions over three weeks and the local rowing club provides the boat, oars and a mate(?) to steer the boats and shout at the rowers. After training it’s time to get real and a regatta is organised where the teams compete. There are three classes Women, Men and Mixed (2 women and 2 men) and there are prizes for the winners in each class. There are also prizes for the team with the best costumes and the best supports. During the race you can buy drinks and sausages and afterwards there is a party for the participants. 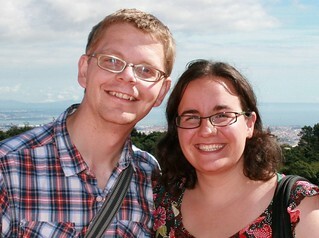 This was the 17th time the event took place in Sonderborg. The results can be seen on the event website. I love the logo for the event which plays on name of the access road to the rowing club – Verdens Ende (The End of The World). All images and the logo is from the website of firmakaproning. 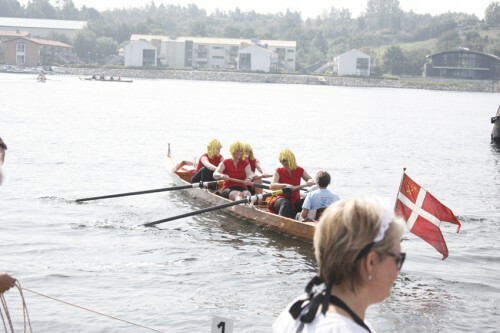 This entry was posted in Outdoors and tagged annual event, rowing, video, water sport by Michael. Bookmark the permalink.